"IMAGINE! THEY DID NOT WANT TO KNOW! THEY LOOKED THE OTHER WAY!". Not many British commoners or citizens of the Irish scum states, want to think about secret courts, secret trials or internment without trial, these days. How often were the German people accused, of reacting to the rise of Hitler and his persecutions in these precise terms. "IMAGINE! THEY DID NOT WANT TO KNOW! THEY LOOKED THE OTHER WAY!" Not many in Britain or the unfree Irish scum states, want to hear about secret courts, secret trials and internment without trial in British Occupied Ireland, least of all the compromised corporate media, like the BBC or the Irish Times currently. The power to detain any British commoner on their own soil, never mind Irish subjects, without due process, indefinitely, at the discretion of Her Majesty's Secret Services, sounds too much like Stalin or conspiracy theory to be taken seriously. 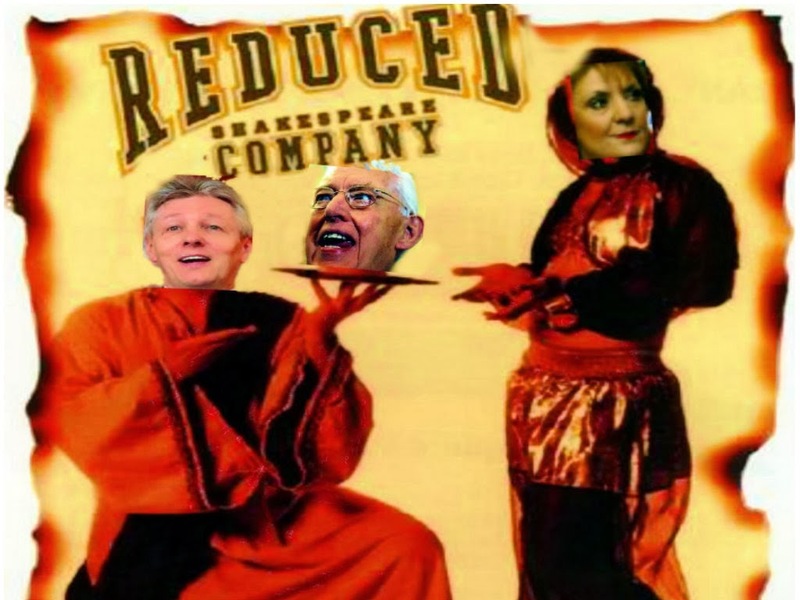 Nevertheless Ii is a fact, a very real unconstitutional.one, ask Marian Price and Martin Corey in Occupied Ireland. There is considerable debate currently in Ireland, about the role of traditional media, as opposed to modern internet platforms, like blogger, twitter and facebook. Well most of these citizen journalists and independent minds, unlike the traditional now institutionally embedded hacks, are curious about secret courts, secret trials, Official Secret acts, internment without trial, find there is a deafening silence around this particular subject. When we try to raise questions, the silence is deafening, to the point where we now call it "News you won't find in the Irish Times, RTE or the BBC" Make no mistake about it, they want us silenced with "Pensive Quill" drone like, Stalinist, censorship. It’s a long journey from the 800 year old concept of Magna Carta “freeman,” to what is currently happening with "internment without proper trial" currently in British Occupied Ireland. The truth is, that there is probably no one who can properly explain it, other than Her Majesty's feral Secret Services, all hidden away behind the Official Secret's Act. Constitutional Monarchy be damned, it's an absolute, now that we have internment and secret courts. Forget about any constitution, forget about democracy, it does not exist.With politicians and the media in bankers pockets and the judiciary eliminated from the equation, by unelected Viceroyal dictats overuling the courts, all the pillars of democracy are now removed.The Secret Services now rule UK!, their client neo-colinial scum states, which include both parts of divided Ireland are in compliant collusion.They have been neutered. Lord Denning, 1899 – 1999 was one of Britain's most celebrated judges. He became a judge to the High Court of Justice in 1944 and was made a Lord Justice of Appeal in 1948. He became a Lord of Appeal in 1957 and Master of the Rolls in 1962, a position he held for twenty years.He wrote several books and continued to offer opinions in the House of Lords. Denning was held in high regard by much of the judiciary and the Bar. During his 38-year career as a judge, he made large changes to common law, several of them confirmed by Parliament, which passed statutes in line with his judgments, being controversial for his campaign against the common law principle of precedent and for commenting on the release of the Birmingham Six and Guildford Four, who after years in gaol were proven innocent, when he said: "We shouldn't have all these campaigns to get the Birmingham Six released, if they'd been hanged. They'd have been forgotten and the whole community would have been satisfied." 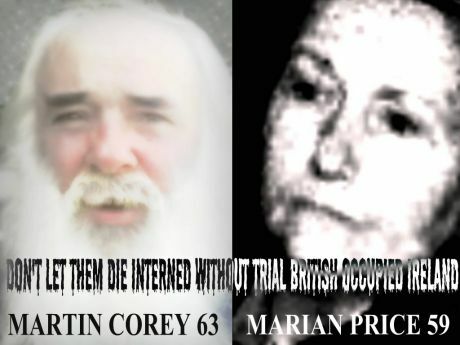 There are many institutional fascists in Britain and Ireland today, who would want the same for the innocent Marian Price and Martin Corey. Nevertheless, Lord Denning, this stalwart of British conservatism, described the Magna Carta, as "the greatest constitutional document of all time, the foundation of the freedom of the individual, against the arbitrary authority of the despot" It was further described by another illustrious Lord, as "first of a series of instruments, that now are recognized, as having a special constitutional status," the others being the Habeas Corpus Act 1679, the Petition of Rights 1628, the Bill of Rights 1689 and the Act of Settlement. The charter was an important part of the extensive historical process, that led to the rule of constitutional law in the English speaking world, strange then to remove in a supposed Peace Process in Ireland. Magna Carta was also an important instrument to the moral claims of England's legal system, as a model for civilizing it's colonies, as they were developing their own legal systems.There is nothing particularly civilized, in invading lands like pirates, kidnapping women or men and interning them, without due process, on paid hearsay or the suspicion, they may have resisted.The Magna Charta Hibernia was an issue of the English Magna Carta, or Great Charter of Liberties in Ireland. King Henry III of England's Charter of 1216 issued it for Ireland on 12 November 1216, it was transmitted to Ireland in 1217. Although it was in effect the application of the Magna Carta to Ireland, with substitutions such as "Dublin" for "London", and "Irish Church" for "Church of England".However in 1985 the singer Tommy Makem claimed that the English Magna Carta and the Great Charter of Ireland incorporated aspects of Brehon Law originating in Ireland. The Great Charter of Ireland 1216 is now a retained statute under the Statute Law Revision Act 2007. The long and the short of it is, that the Magna Carta is no more!.It has ceased to be.In pythonesque terms, it's expired and gone to meet its maker.This is a late Magna Carta. It's a stiff. Bereft of life, it rests in peace. This after 800 years is an ex-Magna Carta. Marian Price and Martin Corey are guilty until proven innocent in a bigoted, sectarian, secret, court, without defence or charge. Meantime, silly 800 year old laws, like Habeas Corpus, belong to a barbarous uncivilized past, that's how we explain this new 'legal justice system' to our children, right?